The only two products you need for your daily ‘Mom Makeup’ routine. 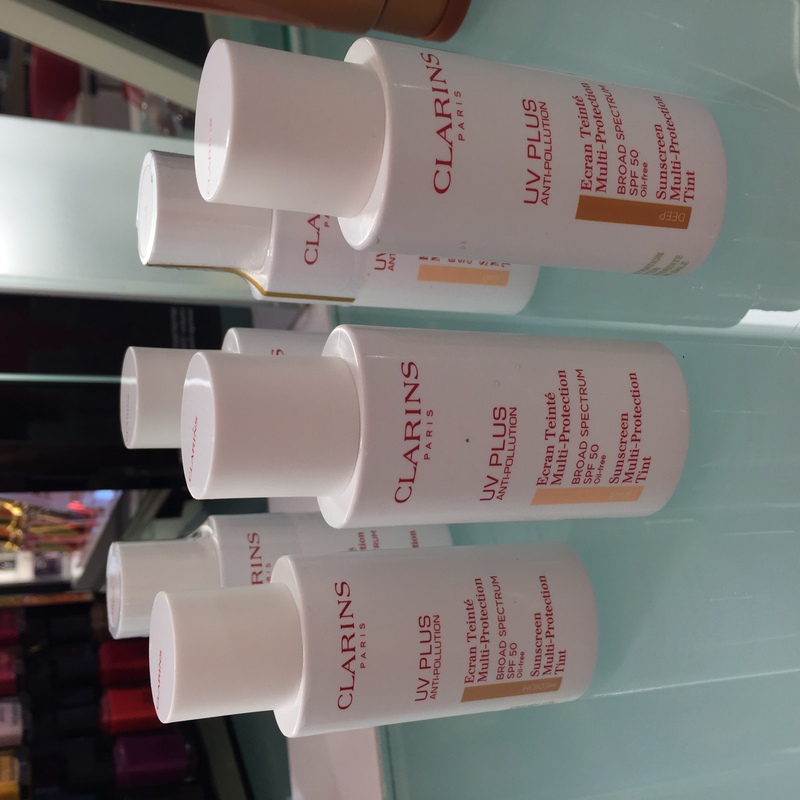 I had the opportunity to meet with some beauty and skin care experts from the Clarins brand last week. I sought the answer for one of the most common issues us Mamas have: what beauty product can busy Moms use that doesn’t take a lot of time, a lot of brushes, or a lot of techniques, while providing a polished look that is not overly done. You know how it is – you want to look ‘undead’ at the bus stop or on the grocery run, but you’re wearing jeans and tee shirt or yoga pants and a sweatshirt. So you don’t want to look like you were out the night before and forgot to take off your makeup. Plus, for us Moms that barely have time to get dressed in the morning along with the kids, the makeup routine has to be easy and fast too. Sounds like a tall request, right? 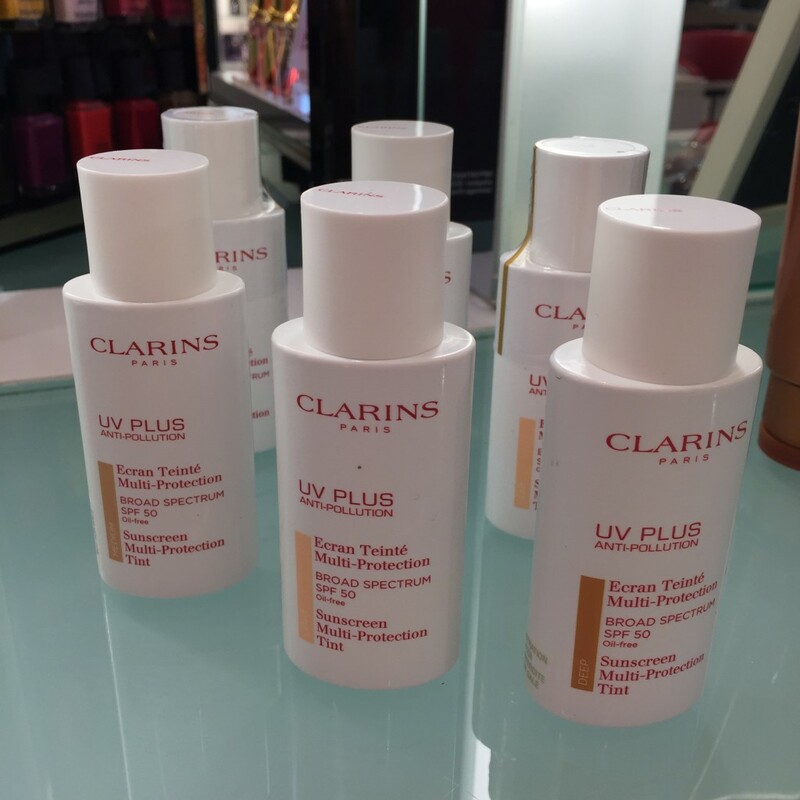 Well, they totally helped me out and I wanted to share my findings for the best makeup product for Moms from the Clarins brand. 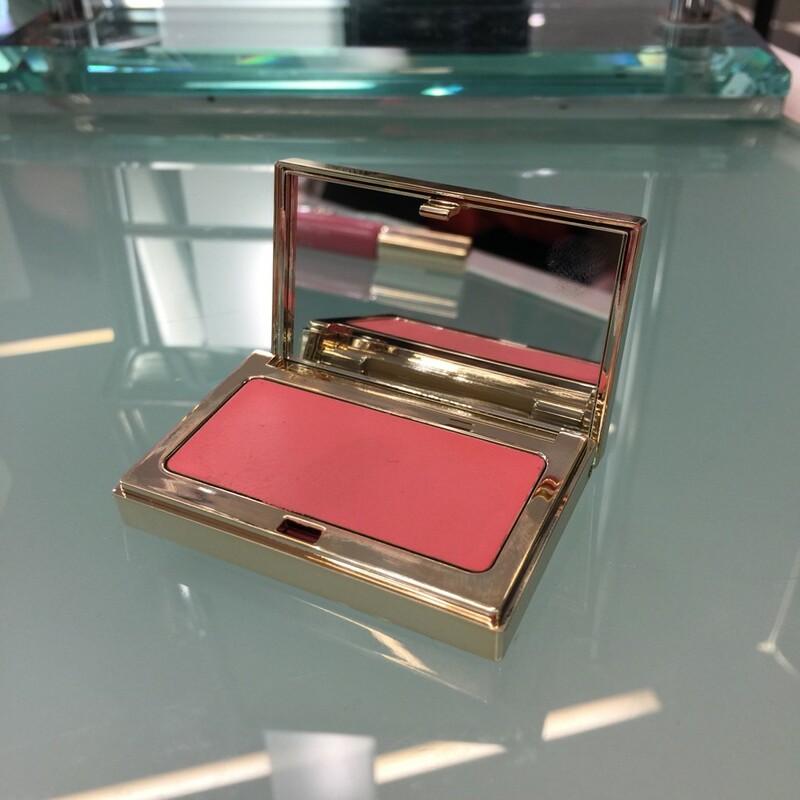 This is what the Clarins experts suggested from their line, that are your two go-to makeup products everyday: mascara, and their Multi Blush cream blush. 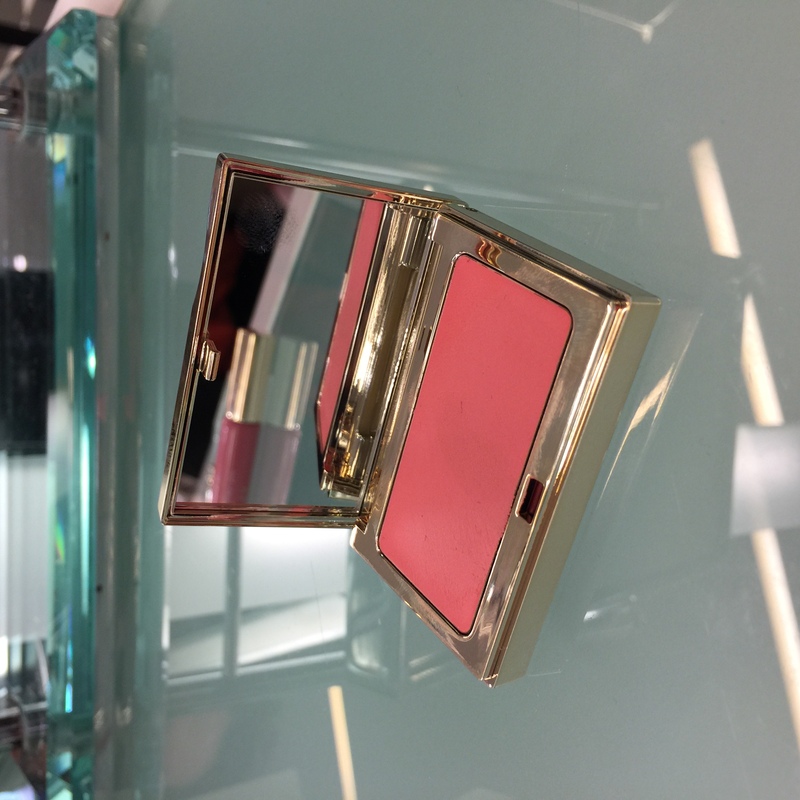 You can use the Multi Blush on your lips, cheeks and eyelids. It provides a consistent ‘palette’ of color, but it reacts differently on those areas of your face. Thus, each area has its own take on the color so it doesn’t look matchy but cohesive. Just use your finger to blend on your cheeks, dap on your lips and swipe across your eyelid. They have a few colors to chose from and the newest color this spring is Rose. Add mascara and go. Yup. That’s it. Two products, and huge effect. #winner! For the next step up, perhaps for parent teacher conference or a birthday party (anytime you need to step up your beauty game a smidge) Clarins suggested adding the following to your day-to-day routine above – for a simple step up from your basic look: Instant Light Radiance Boosting Complexion base, Instant Light Natural Lip Perfector, and Sunscreen Multi-Protection Tint. The tint comes in three colors (light, medium and dark) and is a three-in-one product that evens out your complexion, provides sunscreen and pollution protection. Sort of a ‘wanna-be-foundation’. Then, Complexion base should be blended under (not on!) your eye circles. It provides light to (and thus brightens) your eye area. It is a more natural take on the traditional concealer. Add the lip gel for a casual lip color option. The Natural Lip Perfector is sheer, but shaded enough to wear alone or put it on top of your Multi-Blush Cream Blush on your lips to boost your day-to-day look above. New colors for Spring 2016 is the Instant Light Lip Perfector in Plum and Toffee Pink Shimmer (shown in the bottom of the photo). The pink is a great neutral and the plum is a fabulous raspberry, which works in summer and winter equally. For the night out, add these remaining Clarins products to your lunch look: eyeliner, lipstick, and eyeshadow. There is a new eyeshadow this spring called Ombre Iridescente which is a cream to powered eyeshadow that has a soft blend. The three launch colors are ivory, pink and plum for a natural look. Very pretty colors! Then add lipstick (opposed to the lip gel in your day-to-lunch look.) The Rouge Eclat Lipstick is vibrant color with anti-dehydration technology in colors like hot rose, pink cherry, pink blossom and rose praline. You can see a couple of the colors in the picture above. Then add some eyeliner to boost your eyes and you are done! See, we can have it all! And it is super easy to achieve! Yay!